In obtaining stunning aesthetics with complete makeover and individual teeth, we use minimally-invasive procedures. This allows you to keep almost all of your tooth structure with Lumineers®. Lasers provide minimal tissue invasion. Snap on smile. New smile / New Life! 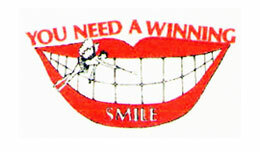 Let Us Create A Winning Smile for You! Your dental team at Knox Winning Smiles is dedicated to helping you acquire the dazzling, confident smile you have always dreamed of. We offer a wide array of advanced general dentistry and cosmetic dentistry procedures using state-of-the-art techniques in a relaxing, comfortable environment. Ask us how we can straighten your teeth without traditional braces using the Invisalign® system. Transform your smile, painlessly, with our ultra-thin Lumineers® porcelain veneers. Protect the health of your teeth and gums with our comprehensive preventative and dental maintenance services. At Knox Winning Smiles, you will enjoy the benefits of gentle dentistry our soothing, spa-like surroundings. You will begin to relax and unwind as soon as you enter our office and meet our courteous, friendly staff. Our patient rooms exude an ambiance of the calming influences of nature, including a mesmorizing collection of exotic, tropical fish. You might even forget that you are in the dentist’s chair after you don a set of headphones to listen to your favorite music- or watch the latest DVD. Our kid-friendly environment has made us a favorite with families for over 35 years. 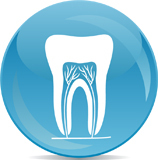 Proper care of your teeth and gums will protect your oral health and help you maintain your winning smile. The professional staff at Knox Winning Smiles will help you keep your dazzling smile in top form. Painlessly transform your smile with our premium cosmetic procedures, including teeth brightening & bleaching, Lumineers® porcelain veneers, and Invisalign® (the alternative to metal braces). My visit at Dr. Knox’s office was very pleasant and I was very pleased with the results of my crown. They have a loyal patient! I love the “Nightguard” Loan made for me. I no longer have pain in my jaw every morning. It fits perfectly. Thank you. I was very pleased with the prompt service I received at Dr. Knox’s dental office. I am happy and relieved about the results of my procedure. I, Gwendolyn Odom feel I have done the best in choosing to have the Lumineer procedure done. Now I have a “great smile” that I share with all. From the time I became a patient with Dr. Knox 12/22/08, I have been totally satisfied with my dental treatment, I have absolutely no complaints! My crown came out wonderful. It fit my gums and matched my teeth very well. Thank you! I am so pleased with the level of service that I received from Dr. Knox and his wonderful staff in my time of need. Two days before my important interview, I broke my front tooth. They made an emergency appointment and gave me a beautiful smile. My experience with Dr. Knox and staff has been a pleasure with great care and concern for my comfort from beginning to end. 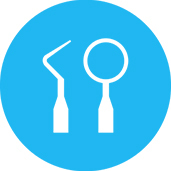 My son and I have been very pleased and will continue to recommend others for dental care. I only wish there was a duplicate of Dr. Knox in Riverdale, but again it is worth the drive! Thanks for all you do and all that you have done. Came into the dental office scared out of my mind to have a root canal and crown, heard all the horror stories about the pain and did I mention the pain? I had it done and no pain what-so-ever and it looks even better than the original tooth! Thanks Dr. Knox and crew. A great experience that was suppose to be the worst. As bad as I hate to say it “I’ll be back”… Thanks again everyone!!!! I am delighted with the services here at Knox Dental. All of the employees are personable and very professional. Everyone tries to make me feel comfortable, and have been very patient with my anxieties. Today I received my new lower partial. I am absolutely thrilled! They look neat and feel so comfortable. Dr. Knox is so careful to make sure each visit is beyond acceptable. I applaud him for his excellence and expertise. I have had a fear of dentists since I was a child. My first adult dental experience was with a different dentist who treated dentistry just as a job. Since I have been coming to Dr. Knox, he has proven me wrong each time. I come in scared to death of anticipated pain and each time with his reassurance and patience – It’s a breeze! I had my final crown placed by Dr. Knox. His staff was great with helping to schedule me due to my difficult schedule. Dr. Knox’s great attention to detail was very appreciated. I am very pleased with my dental treatment from Dr. Knox and his outstanding staff. They worked quickly and professionally to fix my tooth. After the last session, my temporary crown cracked so when I called them at the office and informed them of what happened, they didn’t hesitate to get me in as quickly as possible to resolve the issue and bring comfort to me again with the permanent and it looks great! Great job from Dr, Knox and his team!!! The entire dental staff is great. I am a lady that loves to smile; so when my teeth fell out of my mouth during class, I had to have it put back in as soon as possible. I stopped by Dr. Knox’s practice, not knowing him but trusting he would be able to make me smile again and that is what he did! The staff was friendly and helpful and assisted Dr. Knox with my treatment. In just one day I was smiling again. I can’t wait to tell everyone I know so they can start a treatment for their teeth that will lead to a great smile!! 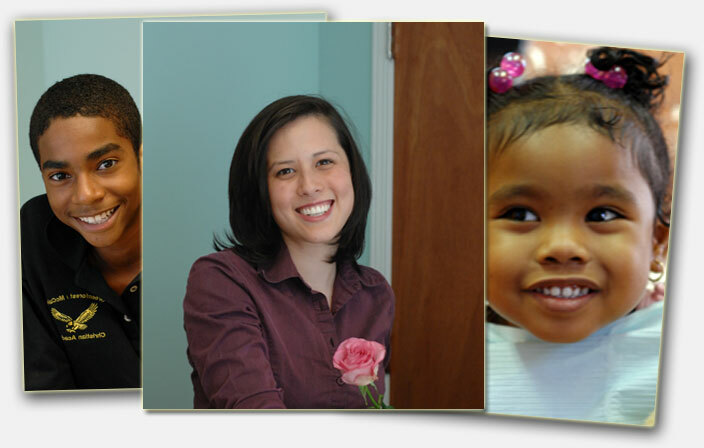 Dr. Knox and his staff have always made me feel comfortable about my dental procedures. Their work speaks for itself. I always get compliments about my smile and I have referred others to this office. Thanks to Dr. Knox and his staff I have a winning smile! After a long day of pain, due to a broken front tooth. Recommended by a co-worker that Dr. Knox was amazing. The work done by the doctor and staff was comforting, relaxing and most rewarding. My crown is amazing. He is an artist. Trust him! He’s great! When I first walked into the office of Dr. Knox, I was any dentist’s worst nightmare. The fear I had of a dentist office for most of my life needed a lot of TLC and a lot of patience. I received over and beyond all my expectations. The professionalism I received from the receptionists, the well trained technicians and the highly skilled Dr. Knox himself, never ceased to amaze me. What I imagined to be a totally unbearable procedure actually turned out to be nearly pain fee and most importantly it left me with a “Winning Smile”. Thank you Dr. Knox. Dr. Knox and his team of professionals have done an outstanding job for me. I needed to have my lower teeth straightened because I had severe crowding . It was a difficult to clean and floss my teeth. I also had some crowding and misalignment of the upper teeth. I decided to go with Invisalign to address these issues. I have been very pleased with the outcome. The results are amazing. My lower teeth are straightened and properly realigned. My upper teeth are also properly aligned. My dental cleaning treatments are so much easier and less painful. I can brush and floss my teeth without problems. I am in the final stages of refinement and very pleased with the results. I would highly recommend Invisalign and more importantly, Dr. Charles Knox. He is an extraordinary professional and cares about his patients. Dr. Knox has the best staff ever! I have benefited by using Invisalign which was the best product to use on my teeth. I feel great about my smile, I also gained more confidence. The treatment was a great success! Thank you Dr. Knox and Staff. My experience with Dr. Knox maintaining my, all important, smile has been nothing short of exceptional. My new crown is a perfect match and I can continue to smile at my audience with confidence., all important, smile has been nothing short of exceptional. My new crown is a perfect match and I can continue to smile at my audience with confidence. Dr. Knox is the best in the east coast. I have been in the dental field for 20 plus years all over the USA and in 5 countries in Europe. I have known very competent doctors however Dr. Knox is not only charismatic and dedicated but also estute in his dental diagnosis. Two other professionals did not bring to my attention my mouth issues which includes getting crowns. Dr. Knox diagnosed my treatment plan like the “Pro” he is. He is great! Knox Winning Smiles offers a Referral Incentive Program called “Share us with a Friend” that any current patient can participate in. Patients can request or download a certificate to present to their friends, family and associates, inviting them to schedule an appointment with the best doctor in town! On their first visit, the friend will save $20.00, and the patient giving the certificate receives a credit of $10.00 on their account as a referral fee. This is a win-win offer that many patients take advantage of. Click here to download a “Share us with a Friend” certificate, and start earning credits today!